So I, like many Appalachian Hikers, are not the biggest fans of Bill Bryson’s book, A Walk in the Woods. Not that I don’t think it’s a well written and humorous book, I do. To be fair that’s what the book was supposed to be. The problem with the book is twofold, first, it seems to be the only book anyone has ever read about the Appalachian Trail which is really sad with so many great books out there including Grandma Gatewood’s biography, Southbound, the first Barefoot Sisters book, David Miller’s AWOL on the Appalachian Trail, and David Brill’s, As Far as the eye can see: reflections on the Appalachian Trial. With this book as people’s limited window into the trail they have a really skewed view of what long-distance hiking on the trail is like and I think truly miss the biggest thing, the transformational nature of long-distance hiking. Second as a comedic book, it gives a writer’s embellished view of what hiking the trail is like. The exaggerations are a necessary comedic writing tool, but quite frankly when I read this book as I prepared to hike the trail, the book really made me NOT want to attempt a thru-hike. I also think the fact that you don’t find out Bryson didn’t thru-hike til late in the book, and the line in the book, I really think we hike the Appalachian Trail, the book gets under the skin of those who have, or are about to attempt a thru-hike. Today I went to see the movie. Simply what I will say about the movie is that it has almost nothing to do with the Appalachian Trail, in spite of all the press about the movie centering on the trail. The movie is a nice, old-guy buddy flick where we get to watch two older guys reconnect and have a few shallow thoughts about mortality. It was pleasant enough, and provided some good laughs and had almost nothing about hiking. To the eyes of someone who has just spent the summer hiking a thousand miles on the trail, there was a lot wrong with the way the trail and thru-hiking is portrayed. I won’t get into all of the annoying little details, it’s a fictional movie, not a documentary about the AT so it would be unfair to hammer on the film about them. However, if you’re going to see the movie to see what thru-hiking is like, this is not your film. 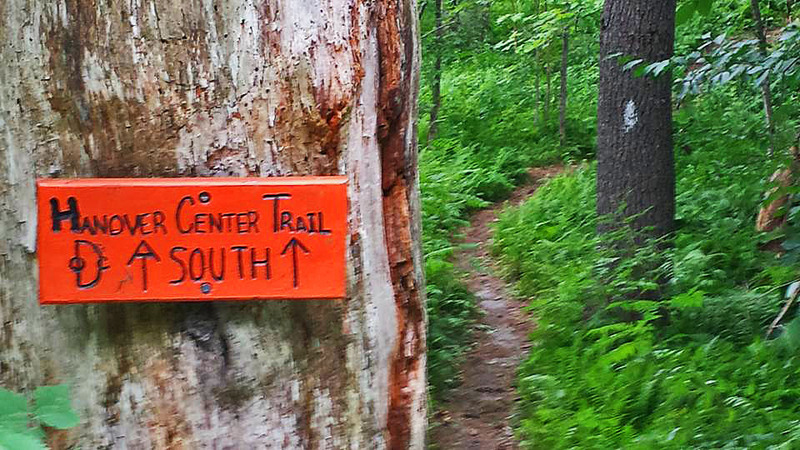 Google Appalachian Trail Documentary, you’ll find lots of options on that front. I think the attention related to the film, far more than the film itself, will drive additional traffic onto the AT. However, unlike the movie Wild, which drove lots of young girls onto the trail with their families this past spring, I’m not sure A Walk in the Woods will have the same effect. Wild, seemed to capture the imagination of a lot of young girls, we encountered tons this spring hiking with their families and they all mentioned the movie. Of course this was a film featuring a young woman, solo-hiking and a big star in Reese Witherspoon. A Walk in the Woods, in my opinion, will not resonate with younger folks. Sure, the film might prod some older folks who were considering hiking the trail to give it a run, but I really don’t see the film itself pushing numbers. The numbers of attempting thru-hikers has been trending up and that will surely continue next year. 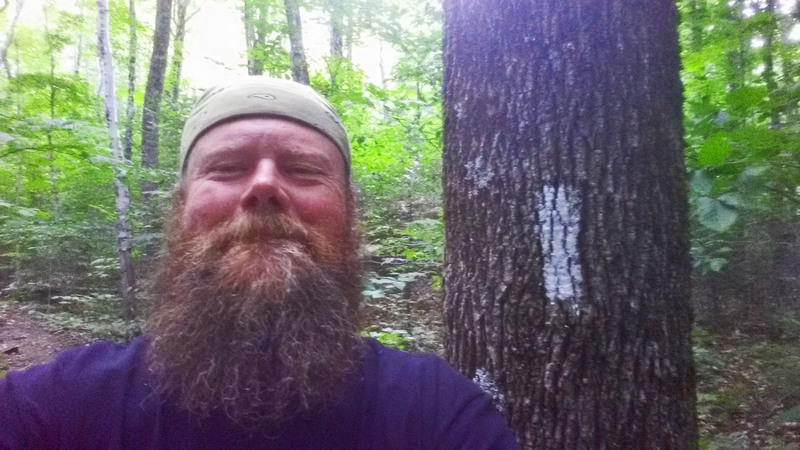 This entry was posted in Appalachian Trail (AT) Happiness and tagged a walk in the woods, appalachian trail, backpacking, Bill Bryson, books, happiness, hiking, movies, nick nolte, robert redford. Bookmark the permalink. I cannot say that I disagree. A pleasant movie, and I read the book over 20 years ago and remember it as funny. At my age and like of condition the movie did make me stop and think a bit, and it reminded me to look up your blog. You are right about this not being a history/documentary/non-fiction work about the Appalachian Trail. Not that there’s anything necessarily wrong with that, as long as you know that’s what it is (or isn’t — depending on what you’re looking for). I’ve been working on documenting the life of one of the AT’s legendary hikers, “Grandma” Emma Gatewood who was the first woman to hike the AT in 1955 at the age of 67 after raising 11 children and surviving domestic abuse. The last portion of this large project that started six years ago is the completion of our documentary, TRAIL MAGIC: THE STORY OF EMMA GATEWOOD, which premiered in May in time for the 60th anniversary of her hike.